Miami, Florida, November 16, 2016	(Newswire.com) - Darkis Art is pleased to present its world premiere of the fine art collection, “The White Cherry Blossoms Collection.” This exclusive collection by artist Darkis Carpenter is a series of ten original oil paintings and giclee prints of those works. 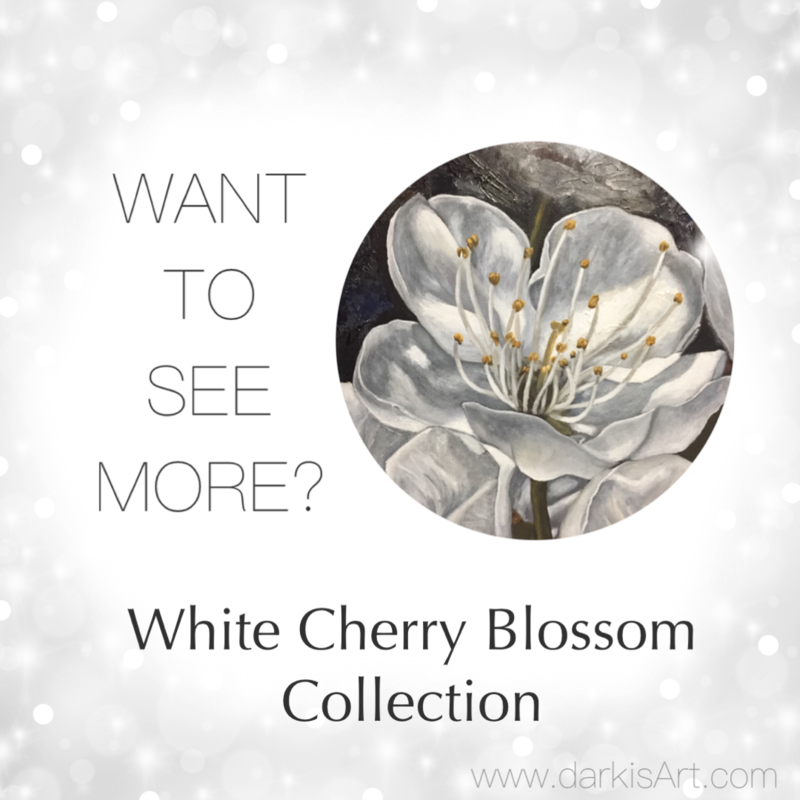 The collection features beautiful, original paintings of large, detailed white cherry blossoms on neutral background colors, such as beige, serene blue, gold, pastel pink, and tones of grey and black. 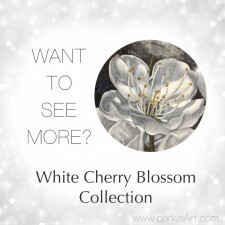 Like delicate white petals of cherry blossoms which reach their peak of beauty in the spring, “The White Cherry Blossom Collection” touches on the subject matter of the fragility of life. The paintings and prints in the collection comprise soothing colors to evoke a sense of calm relaxation and to create a sanctuary in the home or office. Artist/Designer Darkis Carpenter has drawn ever since she could hold a pencil. She filled her notebooks with sketches and drawings as a schoolgirl. While earning a degree in information technology in 2011, Darkis took two art classes introducing her to oil paints. She was so intrigued by the medium of oil paints that she found a private art school, a small atelier run by Abdon Romero and Sonia Hidalgo. These two experienced art instructors taught their pupils to draw like the old art masters. "The White Cherry Blossom Collection" touches on the subject matter of the fragility of life. At the art atelier, Darkis learned two styles of realism: one was very classical and the other was more modern and focused on gesture rather than pure realism. She mixed the two types of realism and her own artistic style emerged as a subtle cross between realism and abstraction. Darkis artfully texturizes the backgrounds and then applies a smooth sheen to the foreground, namely, the cherry blossoms in this collection. 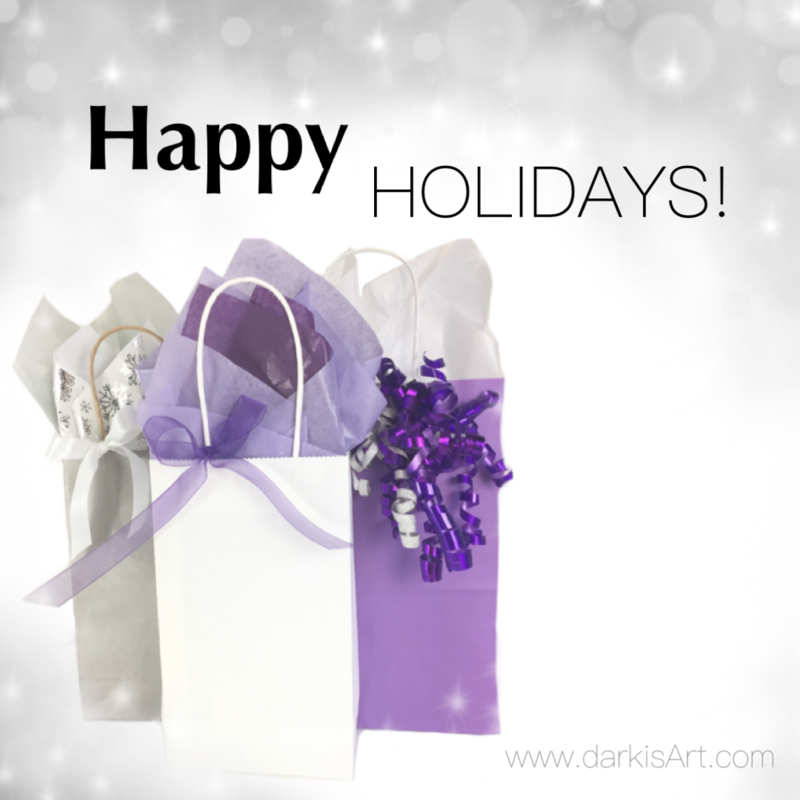 Darkis Art was conceived as a virtual art gallery and fine art boutique where Darkis displays and sells her original works of art online. Her personal philosophy is to do what brings you joy now, as life is short and the future uncertain. Indulge in the calm beauties of life and enjoy the gentle peace that nature gives. Her art is particularly appealing to those who are visually drawn to a serene and neutral color palette. Darkis Carpenter currently lives in South Florida with her husband. Of her own work she says, “I create Asian inspired art that brings a positive and calming energy to the lives of those who need relaxation, peace and quiet while beautifying their spaces.” Her new fine art collection launches on November 25, 2016. She dedicates this collection to the women in her life, her mother, sister and nieces. Creating high quality oil paintings and prints. My focus is to create a serene and relaxing environment.